Ramnad Krishnan’s name brings to mind his electrifying delineations of ragas like Sahana and Begada, Keeravani and Sankarabharanam. 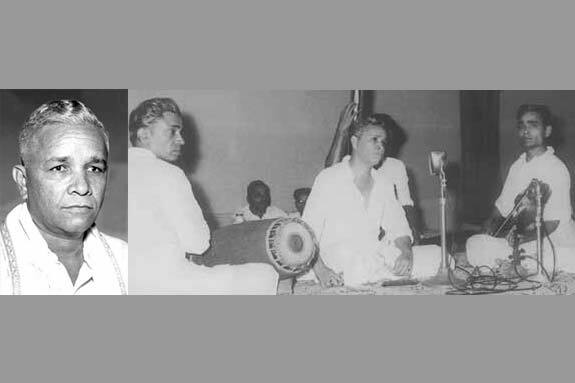 Through his son R.K. Ramanathan’s initiative, a yearlong celebration of the legend’s music was organised at Raga Sudha Hall in Chennai, with two programmes held every month, starting in September 2017 and concluding in September 2018. Born on 14 September 1918 in Alappuzha in Kerala, Krishnan was one of eight siblings growing up in a musical atmosphere. His brothers Lakshminarayana and Venkatachalam were violinists, Raghavan and Eswaran were mridangam players. Krishnan’s education was in Ramnad in Tamil Nadu where he learnt music from the late vidwan C.S. Sankarasivam (elder brother of mridanga vidwan C.S. Murugabhoopathy).